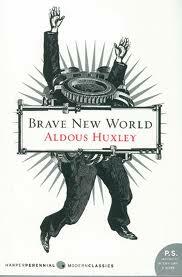 Aldous Huxley used Shakespeare’s quote for his famous 1932 novel A Brave New World. Huxley was inspired by the novels of H.G. Wells (believe it or not, my favorite author when I was in middle school!) and Wells’ imaginings of the future, which tended to be positively gleeful of what was to come. Remember The Time Machine…? War of the Worlds…? The Invisible Man…? 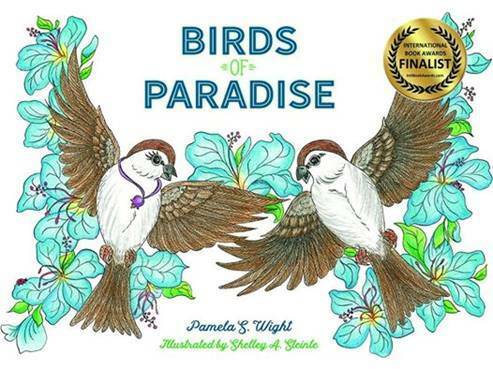 Fabulous books for a young girl with an immense imagination. Okay, yes, somehow I’m connecting the dots between Shakespeare, H.G. Wells, Aldous Huxley, and Pamela Wight, self-publisher. See my rueful smile here? But at this moment in time, we are living in a Brave New World. A century from now, readers and writers and publishers (if there still are any) will cite the beginning of the 21st century as a landmark time of changes in the way we read. In the choices of how and who we read. As of 3:03 the afternoon of Tuesday, January 8, I became a published writer. I created my own publishing company – Near. Perfect. Press. And when I PRESS the keyboard, I can create words and characters and worlds and then, press, send it out to you and to you and to you. I toiled for years on my just-published book, The Right Wrong Man. My main character Meredith developed over the page (with the scribbling of a pen and the tapping of computer keys) through verbs and nouns and metaphors; through research on the police station in St. Thomas and the biting habits of the tarantula; through reading endless newspaper and magazine articles about drug cartels and the illegal trafficking of meth. Oh, and through draft 2 and draft 22. And now I’m ready to share my novel, my work of inspiration and imagination, my years-long affair with Meredith and Parker and Gregory, and the story of The Right Wrong Man. Whoo Hoo!!! I am walking crooked today too. THANK YOU for your energetic enthusiastic YES to my new world. Pam, this is so exciting! I’ve been back and forth with the idea of purchasing a Kindle. I’m one of those old folks who thought that I still preferred holding that book in my hands…but I now think that it’s time for me to let go of that. I just bought a Kindle and your book and now I’m anxious to get reading this weekend! I am honored and delighted to be one of the reasons you’re joining the Brave New World. :+) Yes, sit in front of the fire and pretend you’re with Meredith on that secret Caribbean island this weekend! AWESOME! Good for you. I hope to be on your heels soon. Hope. Fingers crossed. Vigil candles lit. Prayers said. You can do it! Keep me in your loop! And thanks for the awesome-ness. I just downloaded it, can’t wait to read it. How can I get an e-signature on a kindle book? I guess I’ll just have to purchase the paper version also! You need a Cantina book-signing. I just need a Cantina marguerita to celebrate. :+) Thank you thank you for reading. I promise, it will keep you moving those (Kindle) pages. Getting ready to down load this to my Kindle. You are a wonderful writer and I enjoy reading your postings. When they interview me for the Oprah book club, I can tell them what a wonderful writer and a great yoga student you are! :>) Wishing you much success. I can still remember about a year and half ago – I did not want a Kindle, then thought, well, if I’m going to e-pub, I’d better get one. So I got one (as a gift), and now that’s how I read most books. It is a brave new world – it will be exciting to see how it all develops over the next five, ten, fifteen years. Congrats on your book and your publishing endeavors! I’ve never borrowed my husband’s Kindle, but now I think I’ll have to! Anyone of my generation who has mastered recent technology earns my TOTAL respect. You go, girl!! Ha Ha. Yes, I agree – this was an uphill learning curve, and the climb was not easy. Besides reading everything I could about self-publishing and e-reading, I asked for and am grateful for one-on-one help. The scary thing? The technology is constantly changing. ACK. Please let me know what you think after you check out the book, or the sample. I respect your words on the writing way! You are so very brave, Pamela, and I am so proud of you! To follow your heart’s dream and actually publish–way to go! Fascinating that you did this on January 8th. That was a big day for me and for others here on the blogosphere, as I’ve been reading. You’re bound to be 100% successful! I’ve had my head in the womb of discovery as I’ve pushed and pulled my way through this process – so please, tell me why 2/8/13 is a big day. I am so clueless sometimes about the goings on around me. A writer’s dilemma, as you so well know. Thanks for the congrats! Oh it was just a big day for me personally, Pamela. I finally got a lot of deep spiritual insights and My Whole Life Changed. ha ha. We’ll see if it all feels changed in, say, two or three weeks. And other people have posted big personal things about January 8th, too. One of my blog friends had a heart attach on 1/8 three years ago. Yikes! She’s calling that day a Big Anniversary now. Well, since we both believe in things unseen, I’d guess there WAS something going on, unseen, on January 8. Nothing better than a deep spiritual insight. The hard thing is living with it, keeping it inside, the days (years) after. That’s wonderful, my friend! You gonna do some readings? Jeez, I just got brave enought to PROMOTE the thing, now I have to go out there and do readings — to strangers? Sigh. Do they even do that with e-books?